Advanced training for black belts (and those who will be testing for black belt within a year). This is a two hour class once a month. Training in Zazen meditation and Shodo (Calligraphy). This half day session occurs once a month. Intensive Aikido Training. This is a week long immersion in Shugyo. Aikido techniques, weapons and zazen are included along with room and board. It occurs sometime in the summer. Intensive Aikido Training. This is a weekend immersion in Shugyo. Aikido techniques, weapons and zazen are included along with room and board. Winter Retreat generally occurs in February. 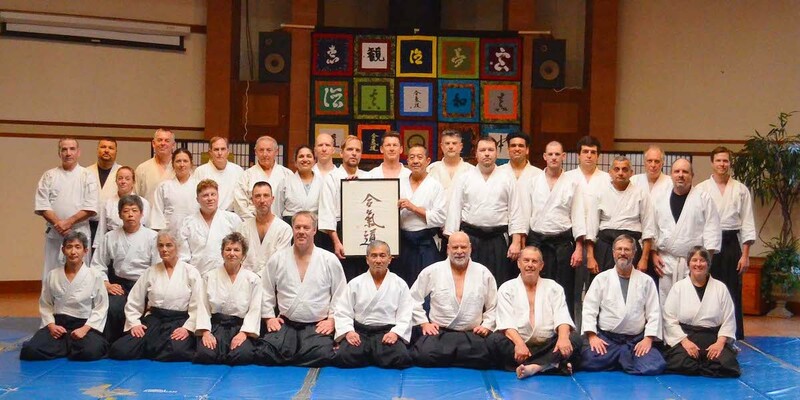 regularly visits the PAF member dojos to conduct Aikido training. The Twentieth Winter Retreat has just finished. Great training and a lot of rain. Zazen as the rain is falling is a new experience.